“Leinenkugel’s 1888 Bock’s robust head seizes the rich aroma of toasted and caramel malts. The flavor of this full-bodied brew is heavily defined by the Munich malts and the 20 to 25-day cold lagering process, which creates a smooth, toasted malt flavor. Leinenkugel’s 1888 Bock also features Caramel, Pale and two-row Chocolate malts while Cluster hops add a touch of citrus character. 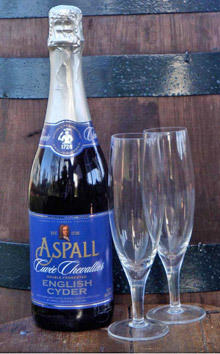 Aspall Cyder House of Suffolk, England and SBS Imports of Seattle have announced Aspall Cuvee Chevallier Double Fermented Cyder has been added to the Aspall lineup that includes Aspall Dry, Semi-Sec, Organic, and Perronelle’s Blush cyders. Cuvee Chevallier sells in a cork-finished 750ml champagne style bottles at a suggested retail price is $15.99 per bottle. 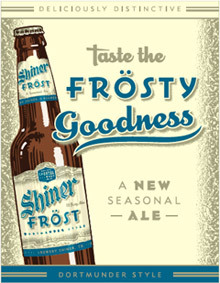 It contains 11% abv.